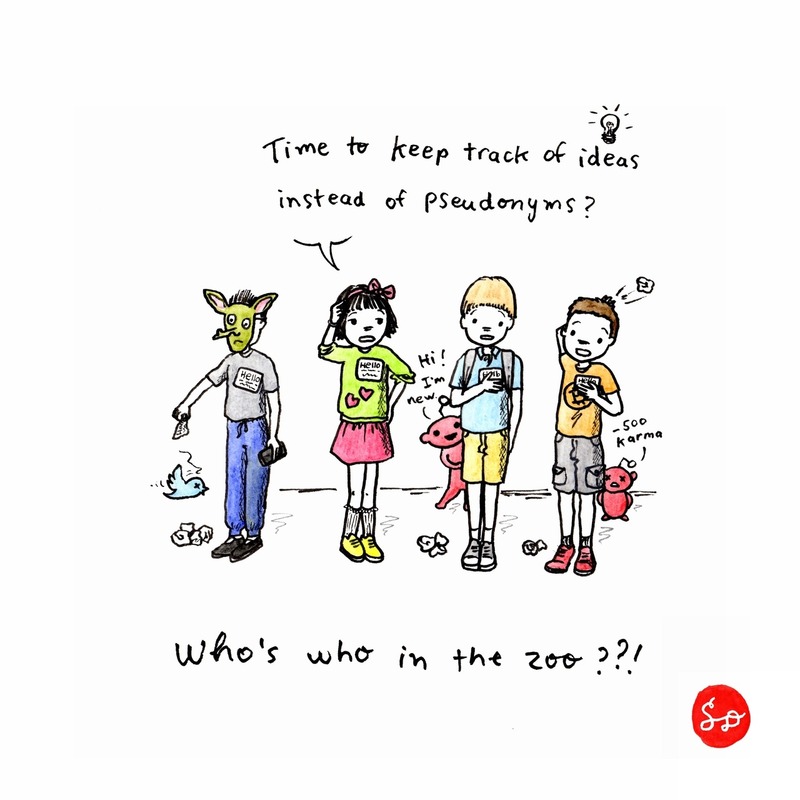 Who's who in the zoo?? Those are scrumpled up "throwaway" nametags on the floor. Is it weird to be interacting daily with a bunch of pseudonyms on social media? My natural tendency (as a female? as a human?) is to construct and continually modify a complicated social mindmap of the connections and interactions in the Bitcoin social media space, despite efforts to avoid thinking/talking about people instead of ideas. Of course, I only have a partial picture due to only paying attention to English-speaking Twitter and Reddit mostly. People who use their real names in Cryptoland are outnumbered by pseudonymous accounts. Some pseudonyms/usernames appear suddenly or disappear for stints, while others might use multiple handles for different purposes. I can hardly keep track of who's who in the zoo. Maybe it's not important in the end. Bitcoin Cash supporters are a motley crew and we are not necessarily here to make new friends. We are comfortable not being in the majority opinion-wise if the social consensus goes against principles. Naturally if you end up sharing a common vision and goals over an extended period of time, friendships may be built upon that shared history. That shared history could include endless discussion threads, memes and jokes, or meeting in real life. Rather than focusing on "in groups" or "out groups" or "friend groups", my mind needs constant reminders to attend to current information, concrete developments or discussion topics and ideas. making friends is nice, but the ecosystem is already too big to get everyone to be friend with everyone else, and this will only get worse as we grow. We should focus on being good business partners with everyone else (or even competitors). This is part of the professionalization of Bitcoin. We can still have Bitcoin-friends, but we should also be at peace with the fact that this is not required to participate and create value.